1995 was a transformational year for UCI. 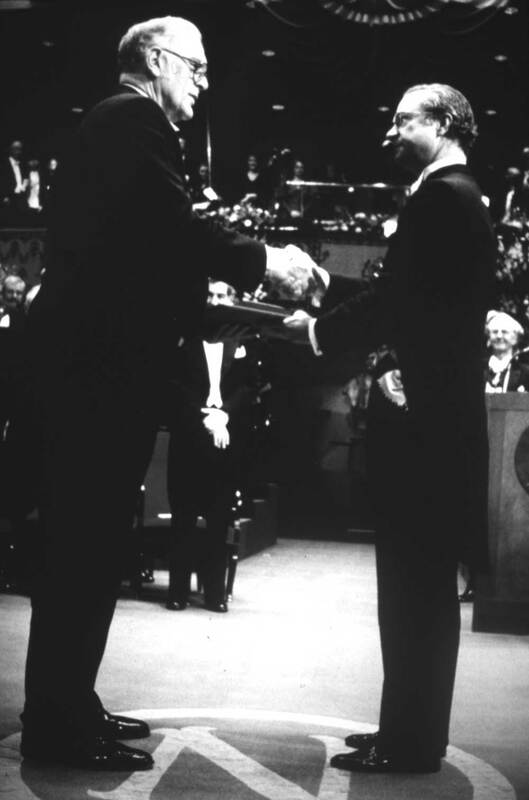 Professors Frederick Reines and F. Sherwood Rowland received Nobel Prizes in physics and chemistry, respectively. Reines was honored for discovering the neutrino and investigating its properties. Rowland and former postdoc Mario Molina won for finding that chlorofluorocarbons contribute to ozone depletion.